Blog of Artenom Georgia Consulting: AGC's director interviewed by Britain's "Just Drinks"
AGC's director interviewed by Britain's "Just Drinks"
07.04.2013 (Hvino News) On March 11 the British beverage industry's leading online resource Just Drinks published article "Georgian Wine Has Moved On Since Russia Ban". In the article, Just Drinks is quoting answers of AGC's director Alexander Kaffka and head of Georgia's National Wine Agency Levan Davitashvili. Full text of article "Georgian Wine Has Moved On Since Russia Ban" by Andy Morton follows below. The agency is to spend US$500,000 this year marketing to these “emerging markets”, an outlay it says it will double next year. And while Georgian wine used to occupy 30% of Russia's premium wine sector, this capacity has now been diverted elsewhere, mainly to other former Soviet republics such as Ukraine, Belarus and Kazakhstan, Davitashvili said. Overall, the agency expects exports to Russia to be one-fifth of the 50m bottles a year it sent pre-ban. 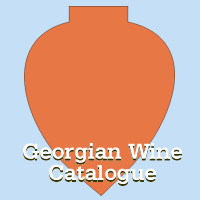 But while Georgian wine has moved on since 2006, the Russian market has also changed. Russia has a saturated and diverse wine market, according to Alexander Kaffka, the publisher of Georgian wine site Hvino News, and the new generation of wine drinkers in the country may see Georgian wine as a throwback to the old days. It is also a lot more expensive, on a par with French wine, and is in need of heavy investment in advertising to educate consumers on its improved quality. The ban may have been partly political - relations between the two nations were heavily strained at the time - but the official charge that Georgian wine contained dangerous levels of pesticide is difficult to shake. Despite the obstacles, Kaffka remains optimistic. Behind all of this is Russia's coming ascension to the World Trade Organisation, which in theory should force it to fully open to other member states, such as Georgia. Davitashvili said the WTO membership played a key role in the lifting of the ban - “though not decisive”. Kaffka said it was one of several factors, one being the election of opposition leader Bidzina Ivanishvili as Georgia's prime minister, who has called for better relations with Russia. What Russia's WTO membership does mean for Georgia, however, is a more stable framework for trade relations in the future. That, in turn, means Georgian wine is less likely to again find itself left out in the cold. Original can be found at source.